He was murdered on January 14, 2005 shortly after finishing his lunch near his home in the Village de Dieu slum. The killing of Abdias Jean, a young Haitian journalist who reported from Haiti for WKAT radio in Florida, was quickly condemned by Amnesty International, the Director General of UNESCO and the Inter American Press Association. His murder was reported in both Reuters and the Associated press wire services. 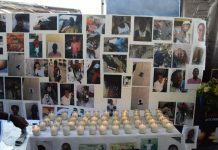 The Secretary General of the Association of Haitian Journalists (AHJ) and Reuters correspondent, Guyler Delva, also condemned the murder and expressed dismay at the indifference of the Haitian commercial media to the death of a journalist. The brazen nature of the crime against a fellow journalist impacted Delva. While Delva worked with Reporters Without Borders (RSF), which reportedly received some of its financing through the NED/IRI and ignored much of the interim government backed violence against the press, he had no formal ties with the political parties in the opposition. In 2004 following the ouster of the elected Aristide governemnt an interim government was put in its place with the support of the United States, Canada, and France. 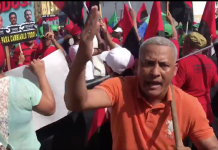 But Delva’s protests over the murder of Jean allegedly provoked displeasure from the head of the interim government, Gerard Latrotue. According to US based researcher Tom Reeves, who spoke with Reuters employees, Latortue complained to Reuters about an article Delva had written about the murder. Delva’s close associate was RSF Secretary General Robert Menard whose organization failed to report on the killing of Jean and many other assaults on grassroots journalists during the interim period. 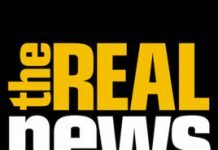 In August of 2006 RSF was questioned on its failure to report on the murder of Abdias Jean. RSF’s Haiti expert responded “We asked the police about the killings of Abdias Jean and we were told by the police that it was an attack made by the police but that they didn’t know he was a journalist. He was taking pictures.” The RSF representative admitted that it had not met with a single witness to the murder but that all the information they had on the case was based on the testimony of the police, known for their widespread killings and abuses. The damning police testimony was never published. In a response, Jean-François Julliard, RSF’s News Editor, again failed to mention the murder of Jean. Haitian police spokeswoman Gessy Coicou, speaking for the RCMP trained perpetrators said of Abdias Jean: “I haven’t heard of him and I haven’t seen his name in any of the files I have. Many journalists have reported that there are many witnesses. I would advise them to file a complaint.” The victim’s mother filed numerous complaints but nothing has come of them. Violence against poor journalists, often those with cameras continued on during the interim period. A young Haitian photojournalist, Jean Ristil, who had photographed MINUSTAH and Haitian police violence in Cite Soleil, said that in November of 2005 he was arrested for the second time. He has been interrogated, tortured and had much of his equipment destroyed by police. On April 7 2005 journalist Robenson Laraque died from injuries suffered while observing a clash between UN troops and members of the disbanded Haitian military in the city of Petit-Goâve. Later that year unknown assailants murdered another Haitian journalist, Jacques Roche. His killing was exploited by the interim government to justify the vilification and imprisonment of a prominent liberation theologian and critic. Mario Andersol, chief of the Haitian national police, was unavailable for comment. Wadner Pierre and Jeb Sprague also contributed to this article.